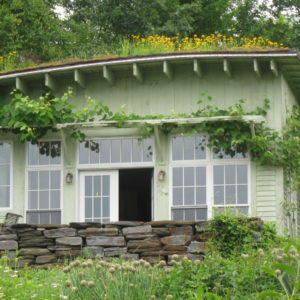 A permaculture-inspired residential site includes a food forest, terraced kitchen gardens filled with pollinator plants and perennial vegetables, and a passive solar greenhouse. 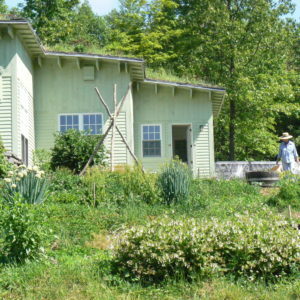 Wildside Cottage and Gardens is a private, 8-acre permaculture homestead envisioned as a demonstration site for the integration of house, land, habitat, and agriculture. 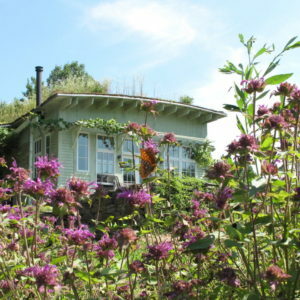 Since 2008, RGD has been working with Wildside’s owner to design innovative connections between home, garden, and wild lands. 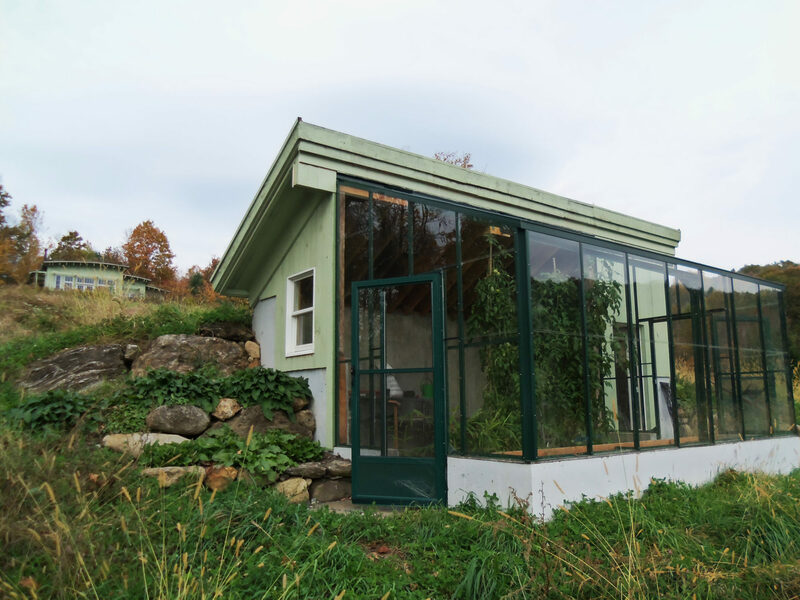 In 2015, RDG designed and built an earth-sheltered greenhouse for the owner. 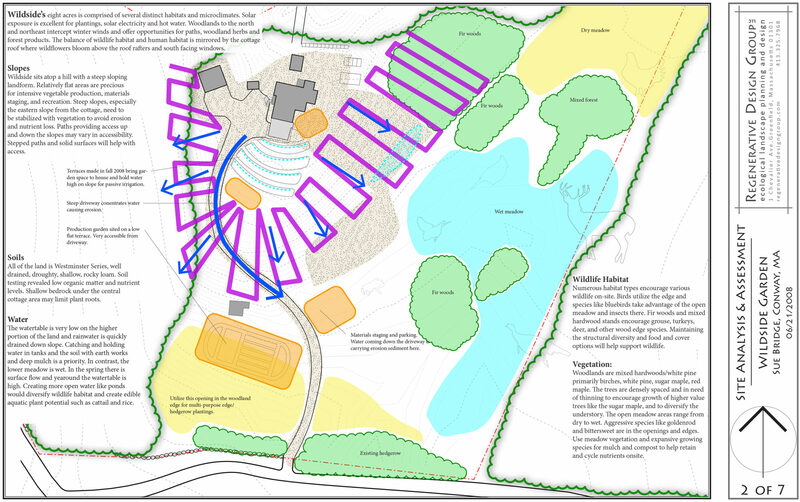 Through creative planning, nutrients, materials, and energy are cycled and conserved on site. 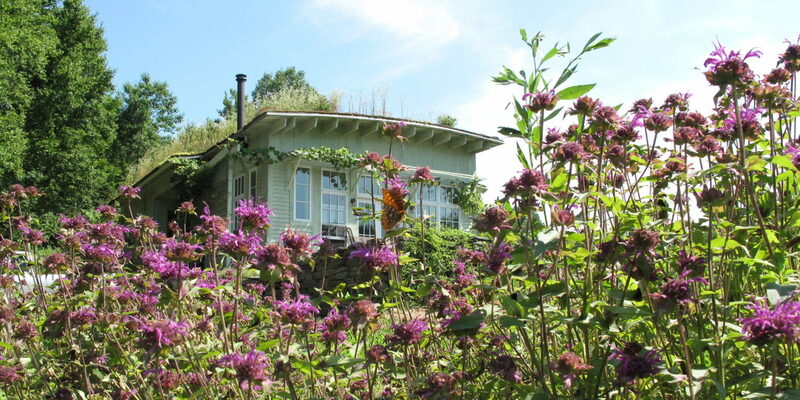 Rather than being discarded as waste, nutrient-rich greywater and humanure feed the food forest which in turn feeds people and helps heat the cottage. 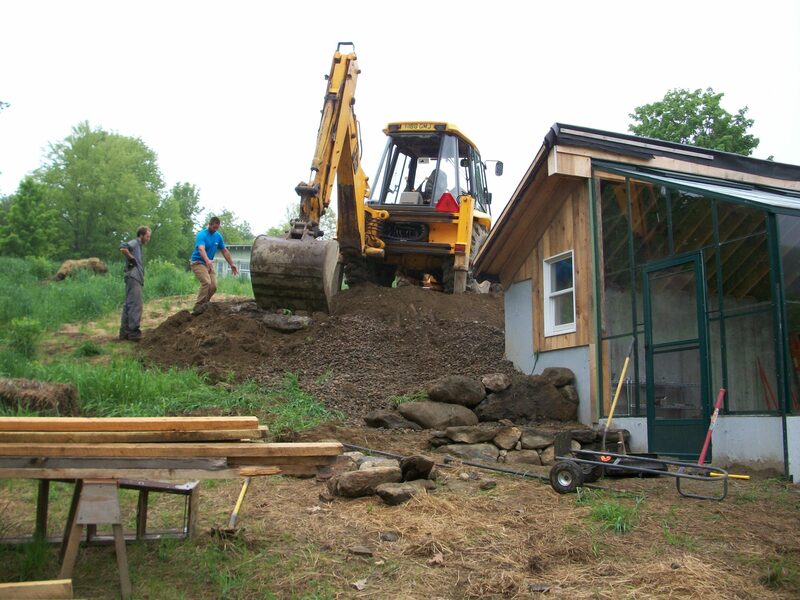 These low-input, life-supporting systems demonstrate regionally appropriate and proactive responses to our changing climate, economy, and energy systems. 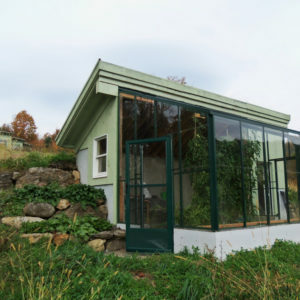 The food forest – a diverse, abundant human-created ecosystem that mimics the forest in structure and function – extends down the east slope below the house. 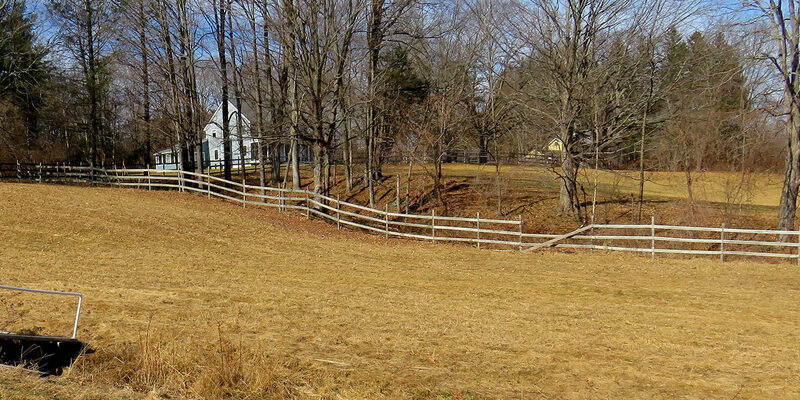 Three on-contour swales capture surface water and allow infiltration along the slope. 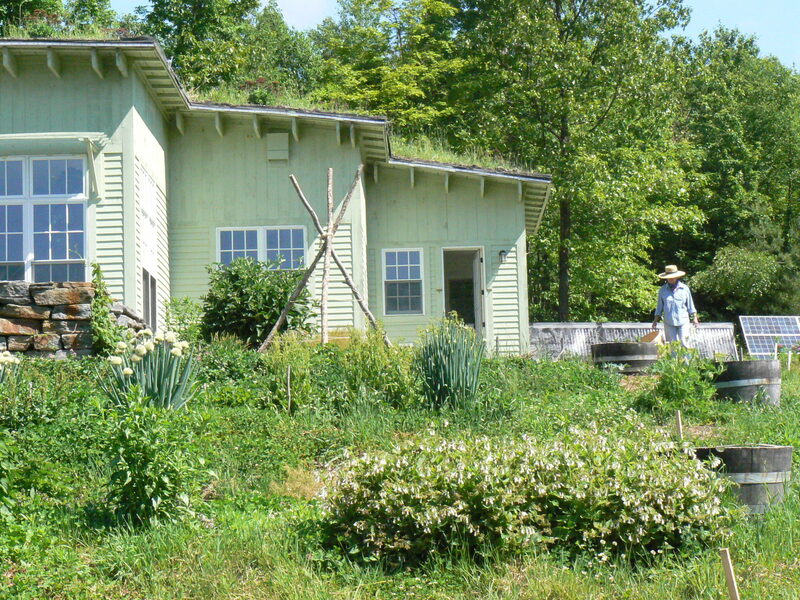 Plants above and below the swales benefit from the available water and reduce irrigation needs. Mulch, woody debris, brush, and ground covers further reduce evaporation while feeding the soil food web. 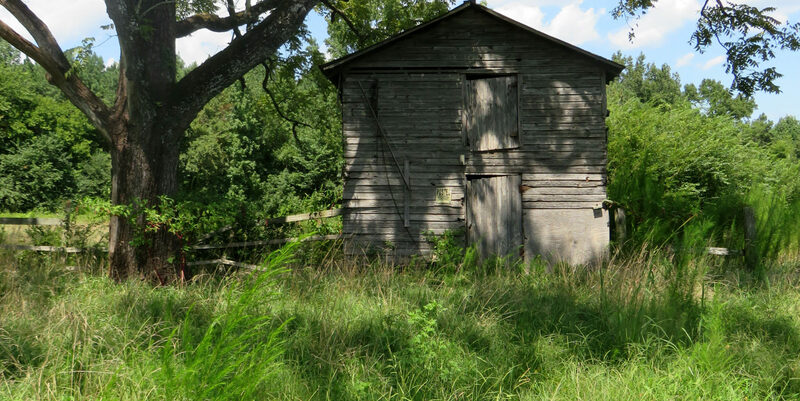 In the fall of 2010, Wildside began to fulfill another one of its goals, to become an active learning and teaching site. 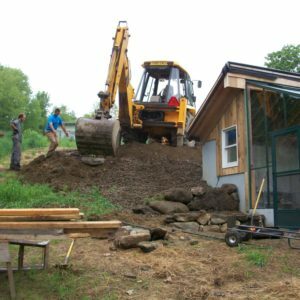 Using the ecological design features of the site, principals Jono Neiger and Keith Zaltzberg began teaching hands-on design-build sessions to Conway School students and community members. 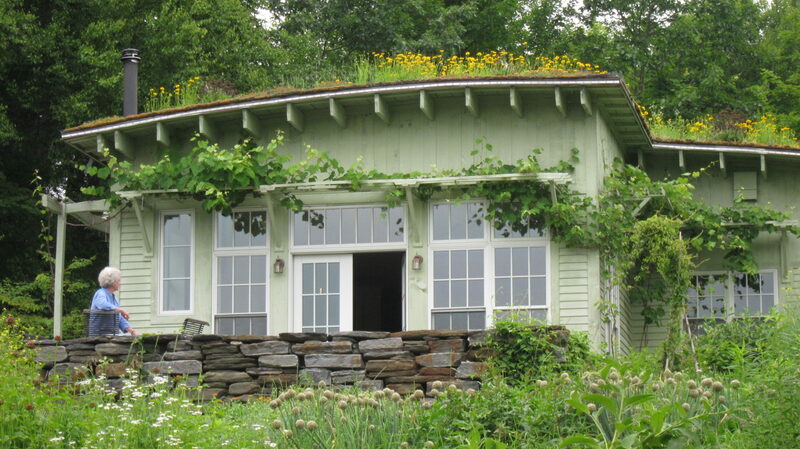 Jono also serves on the board of the Wildside Cottage and Gardens non-profit organization. 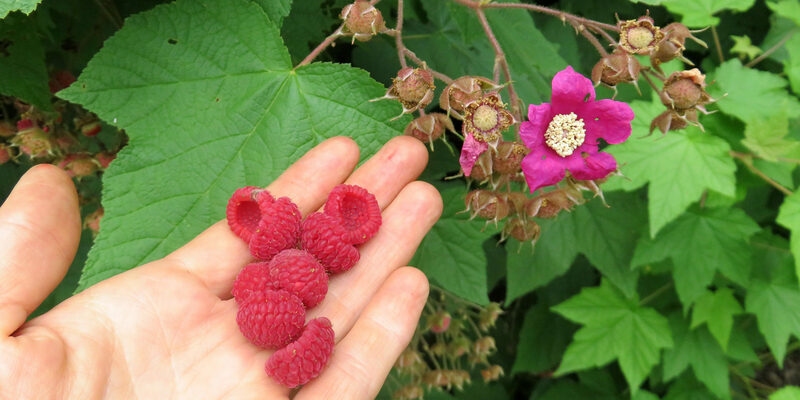 You can find a recent slideshow of Wildside abundance here. 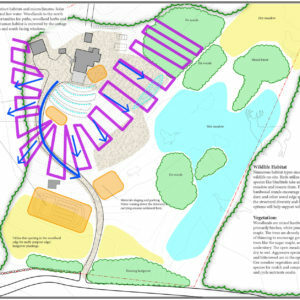 RDG has given us expert design advice on infrastructure — from steps down a steep hillside, to water conservation through terracing and capturing run-off. The RDG team have been indispensable partners in this project… hugely knowledgeable, patient and good-natured, and their prices are clear and reasonable. We at Wildside can recommend RDG without reservation.